Top tips to make your first sprint triathlon a success, based on input from veteran triathletes and my own experience, plus a free printable training schedule. The ultimate guide for beginner triathletes! I actually began training for a sprint triathlon in college, but was quickly derailed by a nagging ankle injury. Now, 15 years later, I honestly believe that setback was God protecting me from my all-consuming desire for thinness that drove me to undereat, overtrain, and make all kinds of unhealthy compromises in my health and relationships. I had no business signing up for a competitive event, and He knew that. I’m so thankful He intervened – not only with an ankle injury, but also through His word, His Holy Spirit, and my nutrition courses, to teach me to truly care for my body by changing when, why, and what I ate. Fast forward to three years ago when life circumstances became overwhelming and I experienced first-hand the effects of physical and emotional exhaustion on an otherwise healthy body. After a diagnosis of HPA axis dysregulation (aka: adrenal fatigue), I was forced to adjust my approach to eating and exercise. I spent the next couple of years prioritizing rest, healing, and nourishing my body with healthy fats and other nutrients it so desperately needed. But, this year I was nourished, rested, and healthy, and I had the chance to see that old dream of entering a triathlon come back to life! 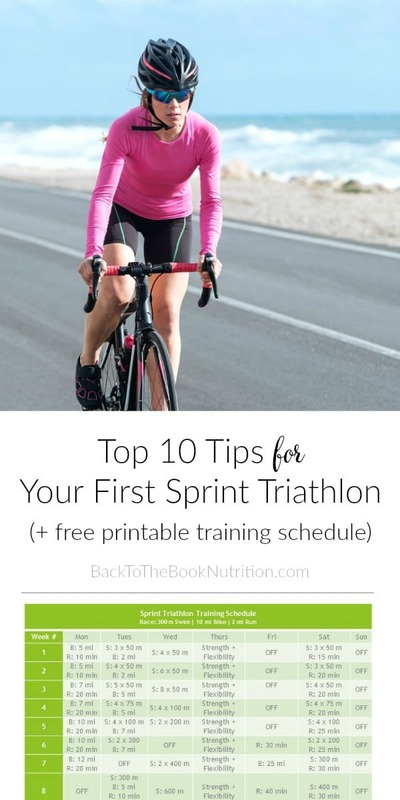 I had a ton of fun training for my first sprint triathlon and want to share some of the killer tips I picked up along the way to help you train and prepare well for race day! “Could I do a triathlon?” and “Should I do a triathlon?” are two very different questions. It may sound strange, but this is something that needs to be said right up front, and you aren’t likely to hear it from many other runners, cyclicsts, and triathletes. So, as an expert in nutrition and health, and as someone who should not have entered a triathlon just two years ago, hear me – Training for competitive events is not always a good idea. 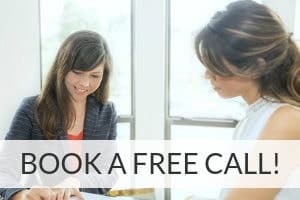 If you’re experiencing physical exhaustion, significant emotional stress, or signs of hormone imbalance, I’d urge you to table your triathlon goals until after you’ve worked with a holistic practitioner like myself to rest and restore your health. Sprint triathlons vary quite a bit in race distance, location, and participant demographics. Do some research on various sprint tri’s to determine which one best suits you – are you prepared to swim in open water or is the lazy river at a resort more your pace? Can you endure a long run or will your knees and ankles require you to stick to a shorter running portion? Are you required to complete all three segments (swim, bike, run) yourself, or can you enter as a 2 or 3 person relay team? 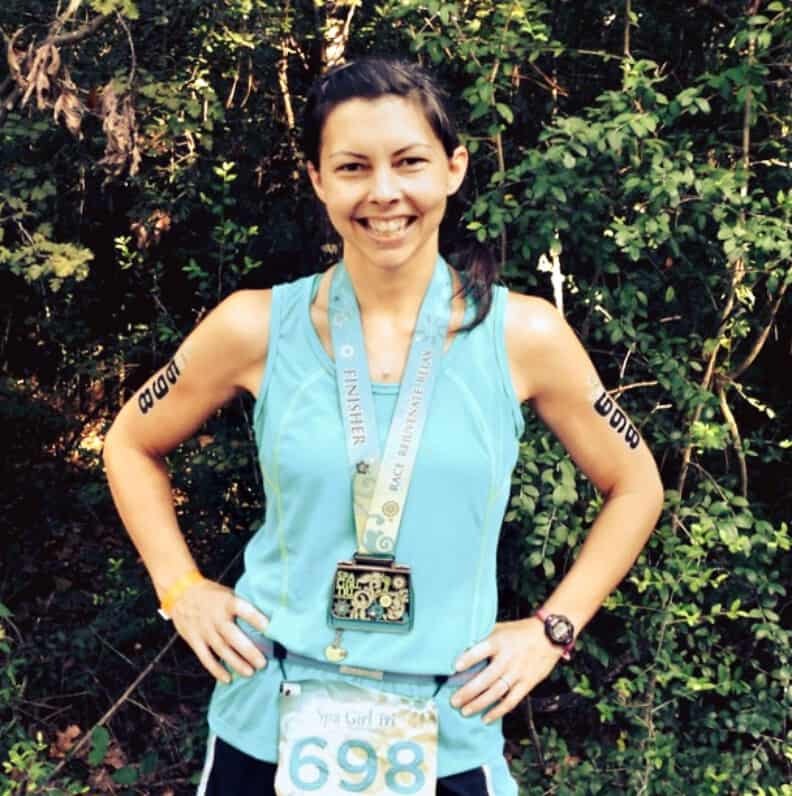 I entered a SpaGirl Triathlon – a ladies only event held at a local resort that drew a 1100 women of all ages, stages of life, and levels of physical fitness, most of whom were first timers like me. It was a beautiful, encouraging, and fun backdrop for my first race! Like any new exercise routine, it helps to have some encouragement and accountability lined up when the going gets tough. I registered with a friend and had family support and help with childcare right out of the gate. I also sought out training advice from a few friends who had completed sprint triathlons, which was a huge help! 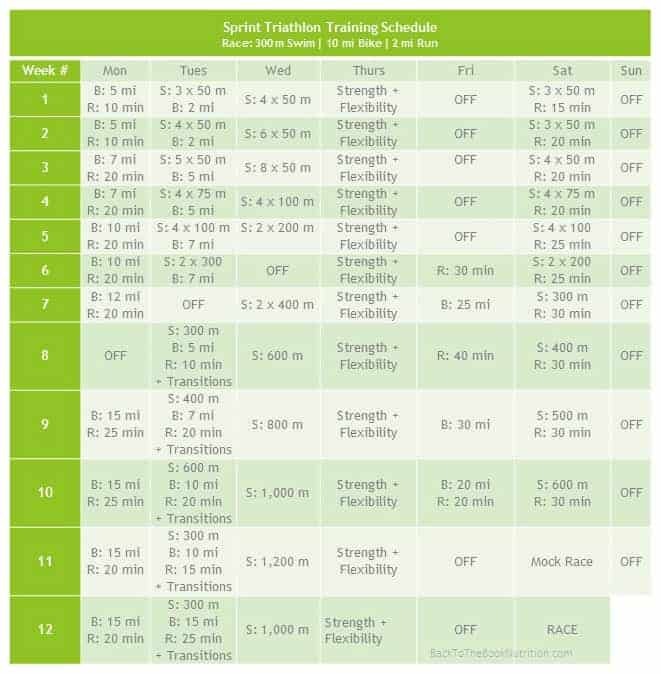 I was surprised by how few sprint triathlon training schedules I found online, and ended up creating my own 12-week training schedule. I aimed to over prepare for the race to allow for occasional rain days or scheduling conflicts that I knew might cause some missed training sessions. It worked well for me – I felt well prepared going into the race and completed it fairly effortlessly despite numerous rain days, scheduling conflicts, and taking an entire week off during my final month of training to recover from back to back viral colds! Click here to download the 12 week Sprint Triathlon Training Schedule (PDF). Don’t get too worked up if the weather prevents outdoor workouts or you need to take a break from training for health reasons. Do what you can to keep up with your cardio by doing in home workouts (check out my list of the best 25 free online workouts!). If you’re sick, take time off to full recover, then pick up where you left off. Swimming is the leg of the triathlon that seems to give beginners the most anxiety. It definitely did for me. When I first began training, I could hardly get across the pool swimming freestyle. I talked with a friend who had finished a few triathlons who urged me to switch strokes to find something that worked for me. In fact, she pointed out that she trained for freestyle but, it was so crowded on the day of her first race, that she was forced to breaststroke. I immediately switched to breaststroke and, within a week, I was able to swim 200 meters. Before I knew it, swimming was my favorite part of the training and I’d often much longer in the pool than my training schedule called for! 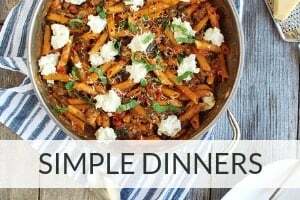 Balanced meals with plenty of fruits and vegetables, plus protein and quality fats are ideal for every day life as well as for triathlon training. As you move into the latter half of your training schedule, you may find the need to add an extra snack or two to fuel longer workouts. Choose combined carb + protein snacks within the hour before a workout. Pay attention to which foods and nutrients work best for you. I like Larabars because they’re a combined fuel (fat + protein + carbs) for sustained energy, they digest really well, and I love that the ingredients are just fruit and nuts. If you have time to make them, my homemade Larabars taste better and are cheaper than store bought! Make a double batch and freeze them in baggies until ready to use! Within the 30 minutes after a long workout (15 minutes is even better! ), eat a small snack of protein + carbs to help refill your glycogen (stored glucose) tank for optimal performance the following day. Again, Larabars or some fruit with cheese were my go-to’s. On race day, choose food or energy bars you’re familiar with. I staggered a couple of Larabars within the few hours leading up to my race, and had one at my transition station in case I felt the need for some mid-race fuel. Hydration is key during training and on race day. Unless you’re workout out for 90 min or more and are sweating profusely, you don’t necessarily need to replace electrolytes. If you think you need it, try these four homemade DIY electrolyte replacement drink recipes! You may want to check out these other articles for more details about nutrition and hydration during training and on race day. Most people recognize the value of eating and hydrating properly, but adequate rest is equally important to keep your body energized, injury free, and able to fight off any sicknesses that threaten to derail your training. I rarely get severe colds, but suffered two near the end of my training. It was hard to choose a nap over a workout with the race just a few weeks away, but I knew that rest would speed my recovery and get me back on track more quickly. 7. Buy the Right Gear…and practice using it! Goggles – these affordable racing goggles with a bungee strap are by far the best goggles I’ve ever owned – they fit perfectly, didn’t fog or leak, and were super easy to adjust without pulling my hair! Quick dry shorts and tank – Lots of people buy one or two piece spandex suits made specifically for triathlons, but I opted for the much less expensive and more comfortable shorts and tank combo made of moisture wicking material. The entire outfit cost me around $30 at Academy, worked perfectly during the race, and I can still wear it for everyday workouts now that I’m done training. Armband for phone – I bought this super comfortable Nathan armband and was very happy with it. The screen protector is pretty thick which made it a little hard to use when it was time to switch podcasts. I noticed this armband made by the same company got even better reviews on Amazon, so it might be worth checking out too! Race belt – This reflective race belt was $12 well spent. I was able to secure my race number to it before the race and it fit very comfortably around my waist without having to risk a safety pin popping open or leaving rusty holes in my clothes. 5-Gallon bucket – It turns out an empty 5 gallon paint bucket is a genius addition to your race day gear. A friend and veteran triathlete suggested this, and she was right – it’s perfect for lugging towels, water, etc. to your transition station and, when you turn it upside down, it doubles as as stool you can sit on and catch a breath while you put on your socks and shoes after the swim. Another veteran tip – practice your transitions at least a few times before the big day. In the final weeks of my training, I set up a mock transition station on my front porch, complete with 5-gallon bucket, towel, race belt, water, socks, shoes, and helmet. I learned to use the transitions were not just to put on the right gear for the next leg, but also to get my muscles used to switching from swim to bike and bike to run (hello, sea legs!). But I also learned the importance of catching my breath and mentally transitioning as well. Had I not practiced all of this in advance, I think my race day transitions would have felt a little frantic. Instead, I had my transitions honed to a science so they were smooth and efficient. After picking up my packet the day before the race, I spent about 45 minutes walking the course to get a lay of the land. This may not always be possible, but knowing what the terrain looked like, feeling the water temperature, seeing where I would set up my transition station, and getting a glimpse of the finish line really helped me feel more at ease the next morning. Every time someone has asked how my first triathlon went, my immediate response is “It was SO much fun!” My training prepared me well enough that, despite a few race day jitters, I was eager to get started and determined to enjoy every minute of the experience! I was thrilled to cross the finish line, but honestly wished the race was longer so the fun would just keep going! Did you wear a swimsuit for the swim then put your tank and shorts on over the top for the bike/run portion? I actually just wore the tank and shorts for the entire thing! Others wore swim suits or one-piece tri suits.